Deiontae Watts announced his commitment on Sept. 18, a day after attending Nebraska's 35-32 win over Oregon. "I will be taking my talents to the University of Nebraska," Watts said in a tweet announcing his decision. After his commitment, The World-Herald's Sam McKewon wrote that Nebraska's gameday atmosphere paid off in securing Watts' commitment. Watts is also another feather in the cap for defensive line coach John Parrella and signals Nebraska's reemergence as a key player in the state of Texas. Watts joined "The Bottom Line" With Mike'l Severe on Sept. 21 to talk about his commitment, and said that Nebraska had everything he wanted. "I was looking for a lot," Watts said about his search for a school. "One of them was mainly the academic part of it. I wanted to go to a place I know I would graduate, and that’s the one that stood out when I visited Nebraska over the weekend. Another is the coaches. I wanted to feel comfortable around the coaches and the players, and feel like a family." Parrella made sure that Watts knew everything he needed to about Nebraska. "When (Parrella) first started recruiting me, he made sure there was not one bit of information that I missed," Watts said. "He told me everything that I needed to know about Nebraska, how it benefits me as a student and an athlete — he told me everything." The Huskers had been recruiting Watts since they extended him an offer Feb. 15. Watts became the 15th commit in the Huskers' 2017 class. He was the fourth defensive lineman commit for Parrella, joining fellow commits Robert Porcher, Deontre Thomas and Guy Thomas. Watts is also the second Texan in the class, following offensive tackle Brendan Jaimes, after NU went without a recruit from that state in 2016. At the time of his commitment, Watts was a three-star prospect according to most of the recruiting services, but Scout has him as a four-star. The 247Sports Composite rankings have him as the No. 23 DT nationally. Watts ran a 5.32-second 40-yard dash and had a 43.5-foot kneeling powerball toss at The Opening Regional in Dallas in March. Watts' commitment followed his first trip to Lincoln. He arrived the day before the Oregon game because his high school team was on a bye week. 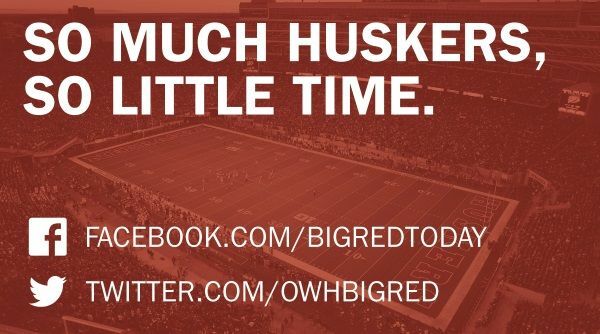 Upon his arrival in Omaha on Sept. 16, a Husker recruiting staff member tweeted this about Watts: "A War Daddy the size of Texas just landed in Omaha! Time to make our way to Lincoln. Let's show him some love!"